Something like 130 million robcalls are dialed each day, “Wired” magazine reported this April. With all the laws supposedly on the books, somebody should be keeping a lid on that nuisance, distraction, and unwanted interruption. Who really wants to pull out a phone in a crawl space? In our line of work, not answering a call is like turning out the lights. Having that ring turn out to be a robocall is about as aggravating as it gets. Scofflaw robocallers have shown pure, unadulterated disdain for the call cops. The reason is fairly obvious, even logical. 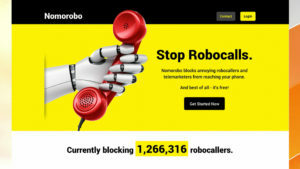 Telemarketers were fined a total of $1.5 billion (that’s “billion” – with a “B”) as of April, 2018 (the most recent data) by the Federal Trade Commission (FTC) for robocalling and Do Not Call violations. The FTC collected a grand total of $122 million – or 8% — of the fines, as of the same date. In 2018 alone, more than $200 million in fines were issued for spoofing-related violations (where robocallers disquise their numbers to look like neighbors) by the Federal Communications Commission (FCC). The FCC has yet to collect a dollar. If the government wants to strike fear in the heart of robocallers, that is not the expressway.